Apple has been given a little bit of respite in its fight to overturn trademark rulings in China after a Chinese court ruled that the company will not be forced to pull sales of its iPad tablet in the world’s largest city. There had been some confusion over the status of Wednesday’s court hearing in Shanghai, after the Associated Press reported that the case had been suspended pending a decision in the Guangdong High Court, which is due to be heard on February 29. However, sources with ‘direct knowledge of the ruling’ confirmed to Reuters an earlier report by local newspaper Xinmin Evening News, which said that the court had ruled in Apple’s favour. All very confusing. 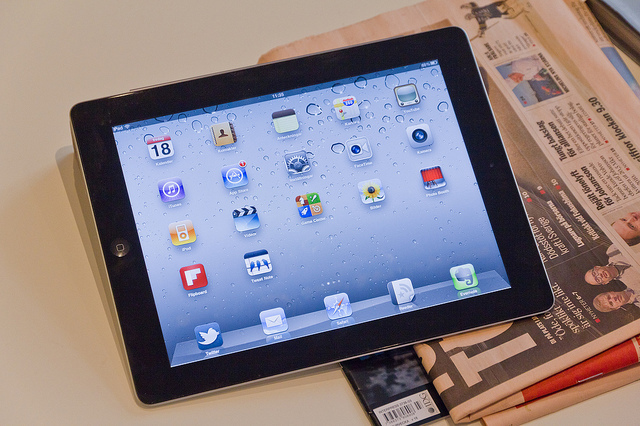 The case centers around the sale of ‘iPad’ trademarks belonging to Chinese technology company Proview, which were purchased on behalf of Apple in 2009. Proview asserts that it didn’t sell the Chinese trademark and has sued Apple, seeking compensation over its infringement. Retailers in some cities had been forced by Chinese authorities to stop selling the iPad, inspring Proview to move for a sales ban in Shanghai — this was of course denied. A new development today has revealed that the Bank of China is one creditor that is currently managing Proview. News of the involvement of creditors is likely a positive development for Apple and it could see the company pushed towards making a settlement.